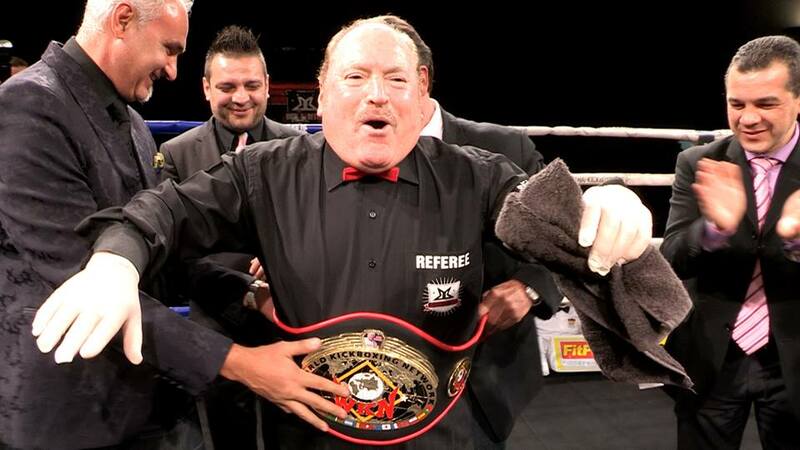 Steve ‘SS’ Smoger, eminent referee from the United States has been inducted in the International Boxing Hall of Fame this year. On Friday 10 April 2015 in Frankfurt, Germany – Steve Smoger has been presented with a special WKN belt ‘Simply The Best’ Live on Eurosport. The WKN World President Stephane Cabrera and the Bigger’s Better team members – Jean-Christophe Courreges, Jean-Philippe Lustyk, Bruno Wartelle, Klaus Hagemann and Emil Irimia – congratulated Steve Smoger with this happening, along with presenting him a special WKN belt to outline his importance for Sport and to show appreciation for the great work that he has been doing. In December last year the ‘Boxing Talk’ has made a special release STEVE SMOGER TALKS ABOUT HIS ELECTION OF THE HALL OF FAME (by Doveed Linder) in concerns of Steve Smoger’s Induction in the IBHOF.